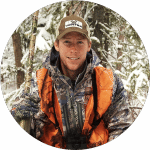 Many hunters have taken to upping the ante in any way that they can in order to make the most from being out in the field. No one wants to return home empty-handed, and it can be a struggle to hit your target, even with all the practice in the world. That’s why more and more hunters are considering going for the best holographic sight that they can find on the market in order to help them bag their kills every single time. Aiming by eyesight alone can only do so much, especially when the sun starts to set and visibility starts to decrease. But with these handy hunting sights on your side, you won’t have to worry that much about missing ever again. It does pay to know what the best in the market is so that you’re not wasting your money. A holographic sight design involves the use of a short 30mm tube, which has a red diode inside that projects a beam of light. This red laser forms a reticle that is projected onto a prism with a metallic coating, allowing all other colors in the spectrum to pass through except red. This is why the reticle is red, and it appears in the hunter’s field of view, superimposed over the desired target. Even when the hunter moves his field of view from the scope, the reticle remains in the same spot as the target, allowing for perfect accuracy every time. That means that his line of sight doesn’t have to be exactly in line with the weapon sights in order to place the reticle on the target. The video above demonstrates exactly how this works. 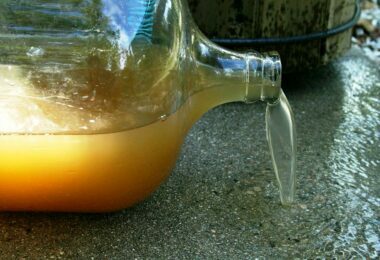 This type of sight has been in use since the 1970s by the United States military. The first product distributed throughout the country was the Armson OEG. The producing company would later become Trijicon, one of the biggest manufacturers and distributers of optical sighting devices for firearms. The Armson sight provided shooters with the capability of keeping both of their eyes open while aiming. This prevented tunnel vision, where all objects in one’s periphery are not visible. This made it difficult for soldiers to effectively defend themselves while they were taking aim, so the sight eliminated this altogether. With the sight, they can continue scanning for additional threats and take them out before being harmed. Other types of sights were developed from this concept, such as the red dot sights, but these only projected a red dot within the tube, similar to a rifle scope, and didn’t solve the problem of soldiers being able to shoot with both eyes open. 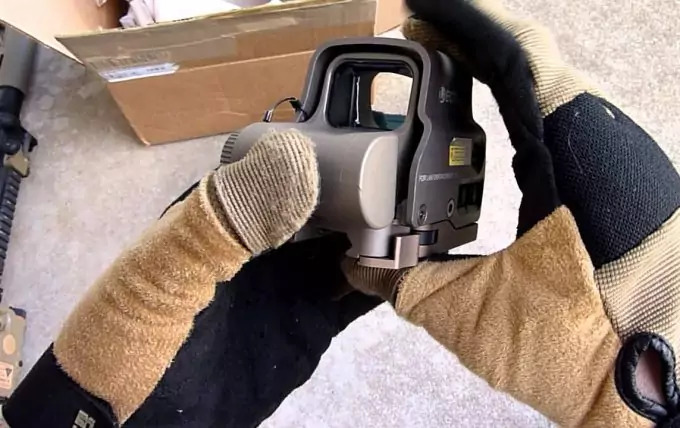 In the 1990s, Bushnell was another manufacturer that entered the scene of creating holographic sights, and developed a model called the Holosight, and it was targeted towards target shooters and hunters. What was great about this holosight was that it worked with the use of inexpensive AAA batteries instead of the more expensive lithium batteries. They started appearing on rifles and shotguns that hunters used in order to provide eye relief, and made it easier and quicker for them to acquire their targets before they got away. In 1998, a company called EOTech acquired the rights to these holosights from Bushnell and has been making them ever since. 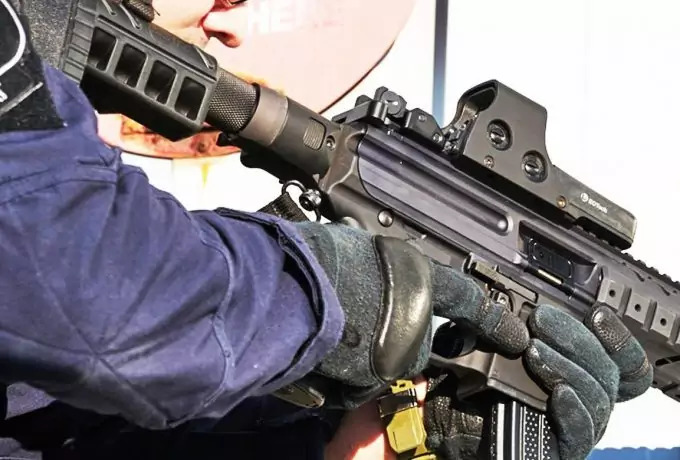 They managed to revamp the overall design and incorporated a more rigid aluminium housing that protected the sight from the rigors and abuse that came with being out in the field and moving around. Typically, any hard use of the weapons would damage the sights and render them unusable, but these new designs allowed some amount of rough treatment that came with being out in nature. This housing was called the “roll bar”, and protected the delicate materials that were housed inside. 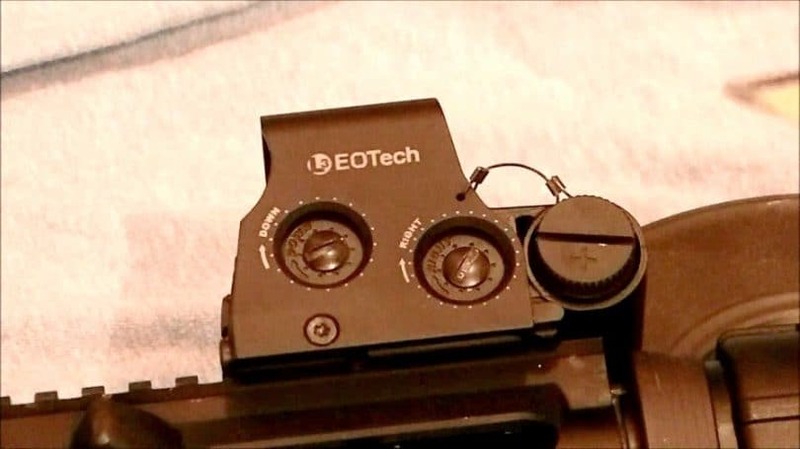 Another development from EOTech in regards to these sights was the quick release mount, which allowed the sight to be fully compatible with the Picatinny rail system that is found on most rifles. This is a bracket that provides a standard mounting platform consisting of rails with multiple transverse slots similar in concept to the earlier commercial Weaver rail mount used to mount telescopic sights. 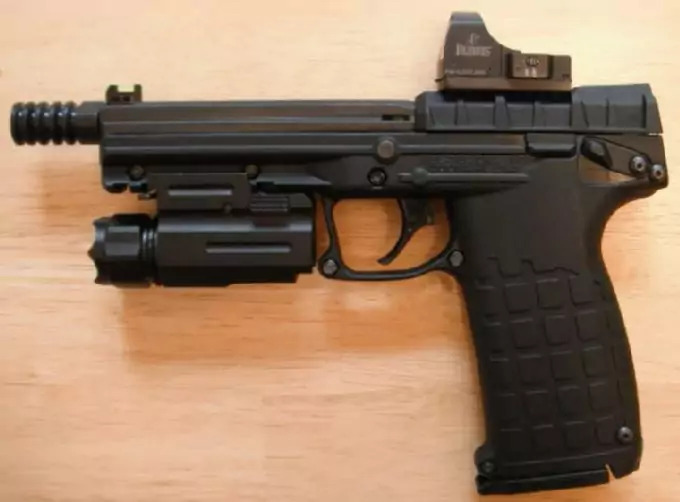 This allowed for the attachment of vertical ‘tool’ or ‘pistol’ grips, bipods, rests, electro-optical sights, flashlights and laser sights, just to name a few. It was also backwards compatible, allowing for the attachment of other accessories that already worked with Weaver-type mounts. 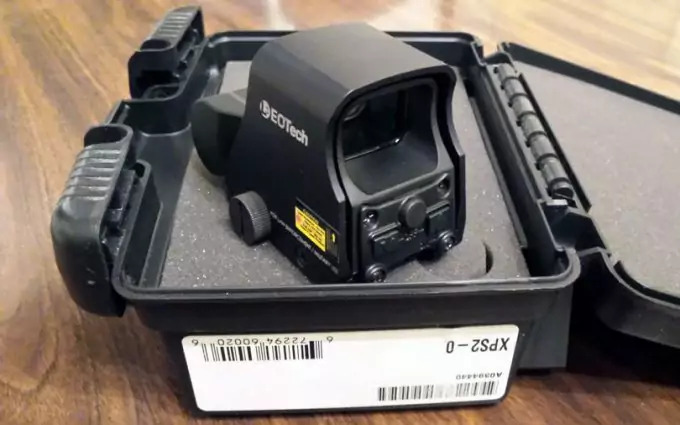 Since then, EOTech has set the standards for holographic sights across the country, of which many manufacturers follow. When looking for a holographic sight, there are important differences between form and function, so it’s important that you buy one that was designed for your purpose. You can’t use a military holographic sight to go hunting, as it won’t have the benefits that you need in order to make those accurate shots. Look for the ones that are the most accurate and the hardest to break. They should also be resistant to corrosion, especially with the natural wear and tear that they’ll receive while they’re out in the field. Try out some scopes to see what works best for you. You should be able to see clearly through it, and should provide an accurate image even when it’s raining or snowing while you’re out. 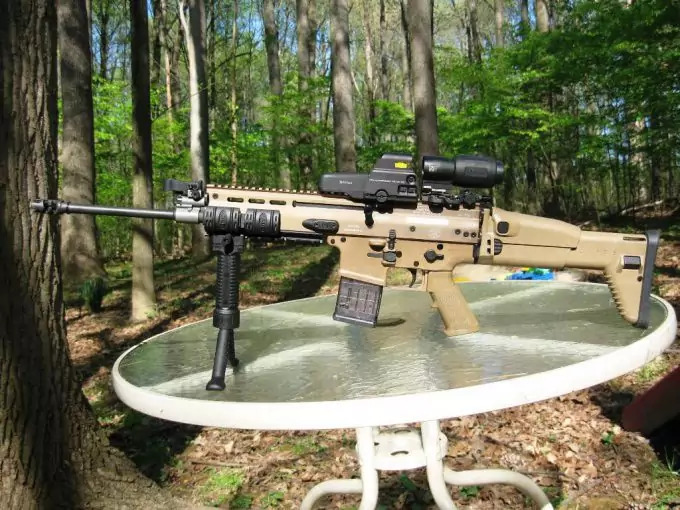 Scopes that are also weather-proof are the best ones to go for. Your scope should also be able to eliminate blind spots and shouldn’t hinder your periphery in any way whatsoever. You want to be able to see everything that is around you so that you can maximize your chances of spotting a target and taking the shot. With tunnel vision, you can miss acquiring those additional targets, especially if the one you’ve already chosen is proving to be difficult to aim at. When it comes to lasting a long time, you want to look at the life of the battery. The holographic sight won’t do you any good if it ends up running out of power and you don’t have any backups to get it going again. Look for one that uses AA batteries, as these are easy and affordable to find, and are easy to carry with you on your hunting trip. Shock-proof and temperature-proof are also additional benefits to look for, as these features are more likely to extend the life of your sight indefinitely, as long as you’ve taken proper care of it. A sight that also has a microprocessor can provide some additional functions to maximize on your experience. Being able to adjust the light of the reticle, programming auto shutdown when your sight is not being used, and providing battery indicators so that you know how much juice you have left are incredibly beneficial to providing more enjoyment to your hunting experience. Interested in hunting after the sun has set? Invest in a sight that has a night vision mode. The mode should be compatible with the intensifier tubes that you’re already using on your rifle in order to make the most of this feature. A good night vision mode should allow you to change the light of the reticle, eliminate the halo effect, and should provide effective aiming, even when there is no light at all. Price is also an important consideration. Holographic sights are generally not expensive, but you don’t want to go for the cheapest model. Trying to save a quick buck can result in a cheap tool that will break easily and won’t have some of the above listed features that could be beneficial to you while hunting. It pays to do a little research in these scopes to see what you’ll be willing to pay for. When it comes to purchasing such a pretentious sight, it pays to know what to look for. There are other sights on the market that are labeled as “reflex” and “red dot”, and they’re not the same thing. Holographic sights: the reticle has a small dot with a ring around it for easier targeting. The window of the heads-up display is rectangular in shape, providing you with a larger field of view for aiming. When zooming in, the aiming dot remains the same size while the reticle enlarges, providing greater precision in aiming. They also have the benefit of the reduced parallax effect so that the reticle is always on the target. Red dot sights: because there is no aiming circle, it relies strictly on the red dot for aiming purposes. Because of this, the dot is larger than that in a holographic sight, which means it can end up covering your target completely so you don’t know where you’ll be hitting it. The field of view is restricted to the circular shape of the scope, limiting your peripheral vision. When zooming in, the aiming dot also increases and can cover up the area of the target you need to be focusing on. Reflex sights: works similar to holographic sights, except LEDs are used instead of lasers. However, it uses the typical tube shape that is similar to most scopes, meaning that they take up more space on the mounting rail. There are many products to choose from on the market and it can be a little difficult to figure out which ones are the best ones to get. Here are some of the best products on the market that have continued to be rated at the top of their class. This is EOTech’s most popular model of holographic sights on the market. It’s a perfect model for those who want speed and versatility when it comes to taking down their targets. It’s built to last, as it’s made out of rugged aluminum and possesses a tool-free mounting bolt. This makes for easy and efficient attachment to any rifle or shotgun, providing you with access to all of the features that this sight has to offer. The sight is capable of working on two AA batteries (either lithium or alkaline will do), has twenty brightness settings, provides excellent eye relief, and is compatible with both Picatinny and Weaver rails. Sadly, this model doesn’t sport a night vision mode. 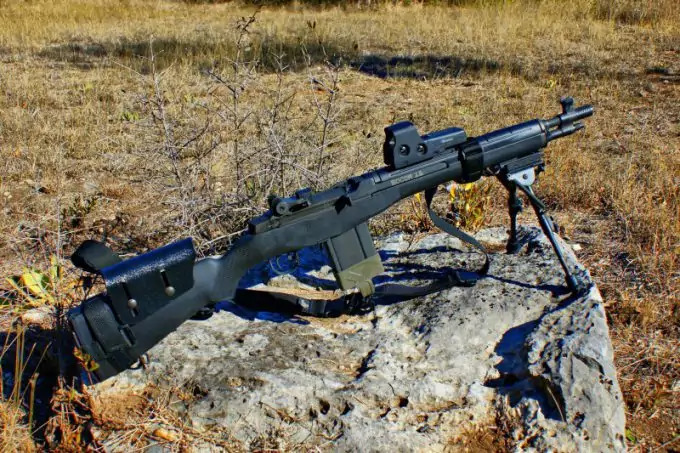 The microprocessor provides a battery indicator and auto shutdown features as well, making the most out of your batteries so that you aren’t without your sight when you need it the most. It’s resistant to temperatures between -20 and 150F during operation, and -40 to 160F while in storage. It’s water- and fog-proof, and also possesses anti-glare and scratch resistant coatings, so you’ll not only have the sight for a long time, but you’ll also be able to use it in any weather condition. The batteries last for as long as 1,000 hours of continuous use at nominal settings for lithium batteries and 600 hours for alkaline. And at a weight of only 10.9 ounces, this light sight won’t have any impact on your aiming abilities. This sight is a lot smaller and lighter than the models that use regular batteries, as it runs off of a 1single 123 lithium battery. This provides it with a longer run life, allowing hunters to spend more time out in the field without having to worry about when their sight is going to fail. This reduced battery size allows for more rail space on the top of the gun, so that even more accessories can be added as necessary. At full brightness, the sight can last for as long as 500 to 600 hours. The battery cap and latch have also been replaced with a simple O-ring tethered cap, creating a better seal that will keep your sight lasting for much longer. The sight does have three reticle options, so that you’re free to choose the one that works best for you. It does not come with a night vision option, but there are plenty of other features that make this sight worth considering. The product makes it very easy for hunters to pick up on targets as close as 10 to 15 yards, and has very clear optics that make it easy to target and won’t result in eye strain. It can be sighted easily as close as fifty yards and is good for taking our targets as far as 100 yards away. The reticle itself is easy to see even with both eyes open, and allows you to maintain a large field of view, so you can keep an eye out for other targets. However, it’s not without its downfalls, as the battery life is still a bit shorter than with other sights that are in the market. The lithium battery is also more expensive than N-cell batteries, making it more costly to maintain the use of your sight. 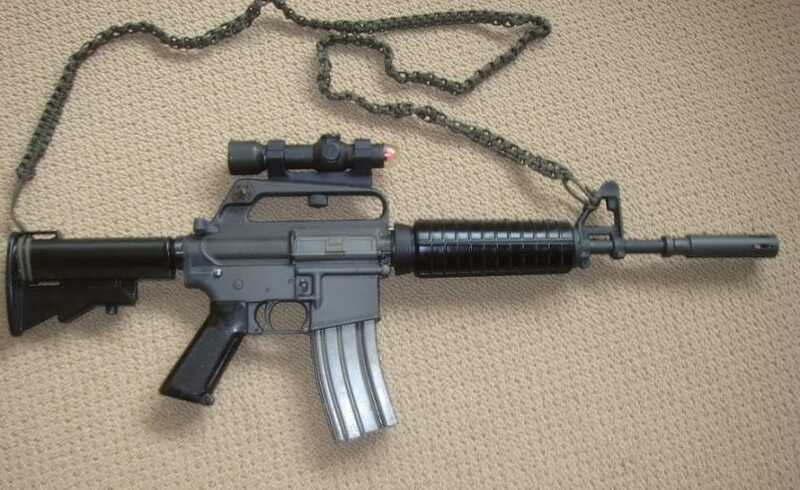 This sight also uses a 123 lithium battery so that you can have more rail space on the mount of your rifle or shotgun. The battery life lasts about 500 to 600 hours, which is about three times as long as sights that use N-cell batteries, even at full brightness. The placement of the battery also makes it easier to mount other accessories behind it without causing any damage. The glass to the scope has zero tint, making it easier to see both the view and the reticle. Many other sights require the tinted glass in order to make it easier to see the reticle, but this sight has no problem doing this, as the reticle is plenty bright on its own. The only problem with this is that the battery life suffers for it. In comparison to other models, it just doesn’t last as long. With the use of lasers can create a grainy effect in the reticle, as it consists of millions of tiny dots in its creation; LED lights create a much smoother look, but it doesn’t make much of a difference. Which one you choose is entirely personal, as it doesn’t affect your aiming abilities much. The placement of the button layout on the side instead of the back also makes it easier for hunters to adjust their sight as necessary, without having to remove their eye from the sight. Alterations can be made quickly and efficiently to promote better hunting practices and taking out targets more smoothly. This sight also incorporates the single 123 lithium battery in order to reduce the overall size of the scope, making it easier to mount other accessories. It has fog-proof optics that provide great visibility, comes with night vision for easier night shooting, and has a non-reflective black coat finish so that glare from the sun doesn’t alert your targets to your presence. The 3 reticle options are easy to choose from and can be adjusted easily to find the right one for you. It weighs about 8.8 ounces, making it light and easy to mount. 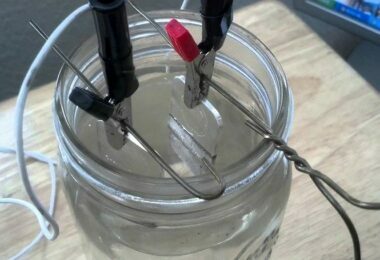 It can withstand temperatures ranging from -40 to 150F. The anti-glare coating and shatter resistant laminate will keep your sight lasting longer even with the rough treatment it may endure when you take it with you on your hunting trip. It has 30 brightness settings, and includes a scrolling feature to make it easy to change between them. The battery indicator keeps you abreast of how much battery life you have left, and has an auto shutdown that can be programmed to suit your needs so that you’re not wasting battery life. It’s easily one of the better options of sights that already comes with night vision. 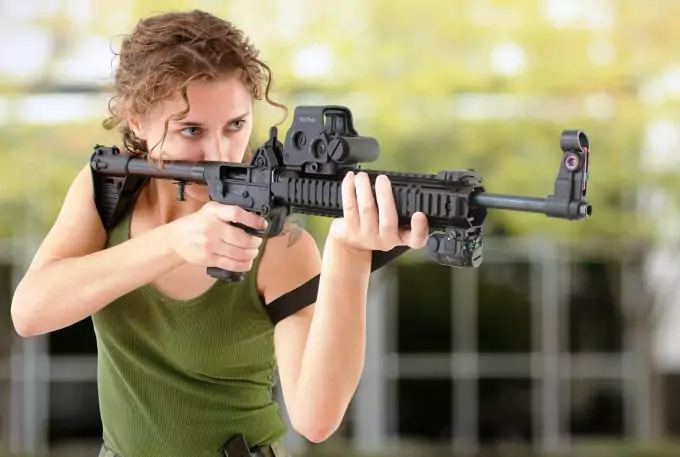 When it comes to finding the best holographic sight for you, your local sporting goods store can help you to find one that best meets your needs and is also comfortable to use. Doing all of the research in the world can only do you so much, so trying them out for yourself is the best way to figuring out which features you appreciate, and which ones you can do without. After all, you’ll be using this sight for a long time, so it pays to have one you can trust and use comfortably. Don’t forget to get the best weapons for your defense. 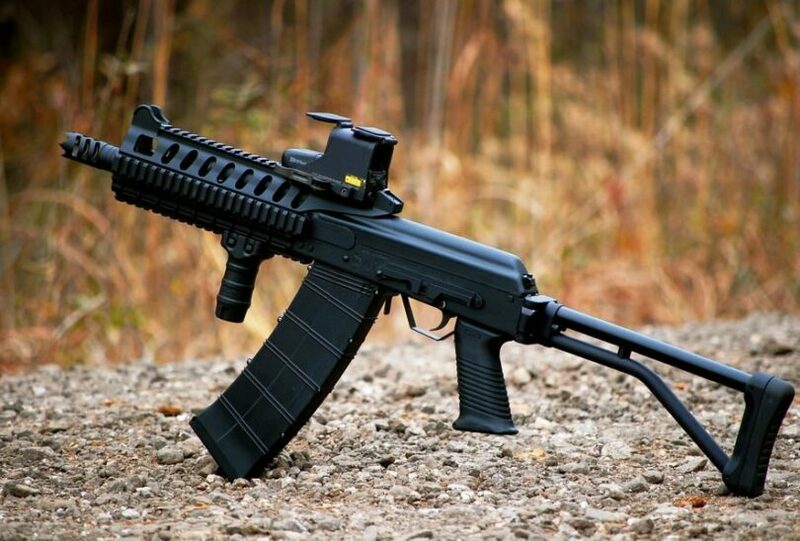 See our article on the best survival rifle to protect you and your loved ones.